Hardware accelerated cloud computing, Cloud resource management, Data plane hardware architectures for high speed computer networks. The lab equipment includes 40 Gbps Switch / N9K-C93180YC-EX (Cisco), FPGA Boards / HTG-Z7-PCIE (Hitech Global) Xilinx Zynq Networking Platform, 40 GbE PCI-e Expansion Boards / MCX313A-BCCT (ConnectX), Cloud Servers / Precision T7810 SATURN Workstation. APP takes advantage of various optical and microfabrication tricks to advance novel concepts in photovoltaics, and aims at fabricating high-efficiency, yet low-cost solar cells. 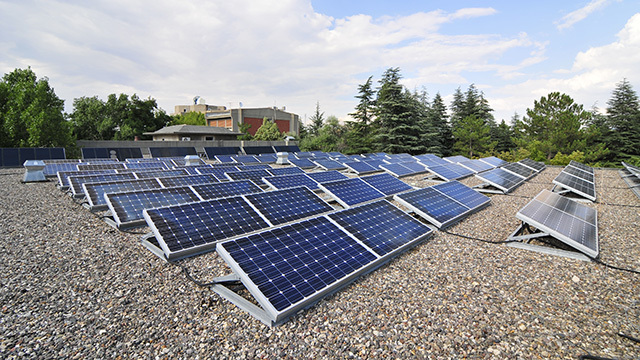 APP benefits extensively from the vast facilities located in the Center for Solar Energy Research and Applications (GUNAM – www.gunam.metu.edu.tr). Our recent interests in photonics and photovoltaics cover material and device fabrication, spectroscopic and structural characterization, optical and electrical measurements as well as device modelling. Fundamental parameters of the antennas such as radiation pattern, polarization pattern and gain can be measured in this laboratory. Measurements can be done either in the Far field or in the near field with a Spherical Measurement setup. Electromagnetic shielding is better than 80 dB over the operating frequency band of 1 to 40 GHz. Standard gain antennas over this frequency range are available for gain measurement. Largest antenna that can be measured must fit into a sphere of diameter 1.5m and must weigh less than 50 kg. Error in gain measurement is ±0.15 dB while the error in side lobe levels are limited to ±1 dB @ -35 dB SLL. It is a turnkey system provided by Antenna Systems Solutions (ASYSOL). End-to-end connectivity architectures for vehicles, In-vehicle network design and evaluation, Road traffic control, Platooning, Autonomous driving, Cooperative and coordinated driving. The lab equipment includes Freescale (NXP) SABRE Evaluation Boards with i.MX 6, Fujitsu SK-91465X-100PMC Evaluation Boards with FlexRay, CAN, LIN communication interfaces, FlexCard Cyclone II FlexRay and CAN Bus Monitoring Hardware, USB-CAN/CAN-FD Interfaces (PEAK PCAN, Ixxat), Mini Autonomous Racecar Prototype. 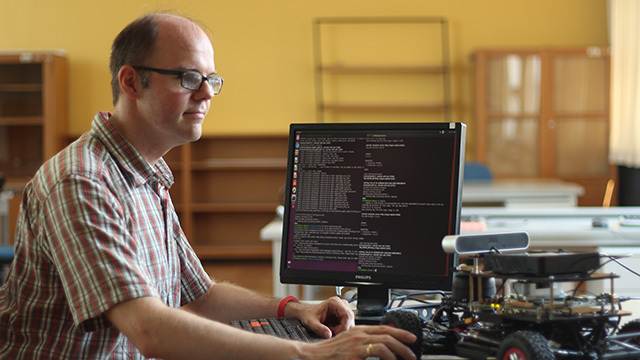 BERG is conducting research on the mathematical, computational, and instrumentation aspects of medical imaging. Electrical Impedance Imaging with Magnetic Induction, Harmonic Motion Microwave Doppler Imaging, and Electro Thermal Imaging are the novel medical imaging modalities proposed by the members of BERG. Group members have also contributed on different aspects of Electrical Impedance Tomography, Lorentz Force Electrical Impedance Imaging, Electro-Magnetic Source Imaging of the human brain, brain computer interfaces, and implantable neurostimulators. 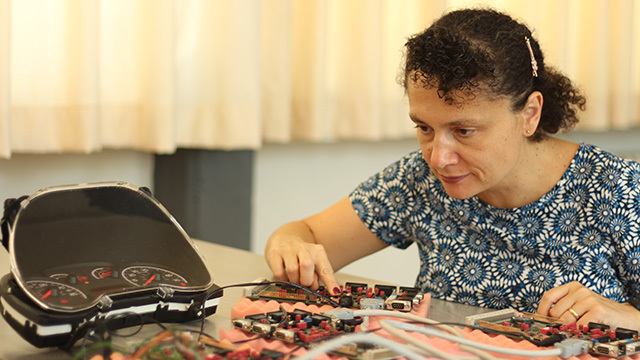 Laboratory is equipped with basic electronic components, measurement devices, a small mechanical workshop, computational facilities (2x24 CPU data servers), and multiphysics and electromagnetic simulation software. Historically the Process Control Laboratory, the lab is a common infrastructure for the department’s Control Systems Group. The lab has a long history. Located in a dedicated building, it has an industrial space for large setups. The lab is home to process control and electromechanical feedback control experiments. It is host to a 3 ton crane, large capacity 3-phase power supplies, a large liquid handling/heating setup (a Honeywell Global donation) and many smaller scale control setups. Higher floors of the laboratory have 6 sets of Quanser Linear Stage – Pendulum assemblies with associated data acquisition and control computers, two see-saw setups, one 3-DOF rotational helicopter setup with full state measurement. In the near future, the lab is expected to host a setup in discrete-event systems and multiple-vehicle control systems. Energy efficient wireless systems: packet scheduling mechanisms for energy harvesting. Efficient ad-hoc wireless networking: routing optimization and medium access. Established in 16 May 2013. Our research is focused on developing fast and accurate implementations for real-life electromagnetic simulations. Some of the applications that we recently consider are nano-optical memory units, nano-plasmonic lenses, nano-plasmonic reflectors, nano-optical couplers, nano-jets, photonic crystals, nanoantennas, inkfet-printed metamaterials, inkfet-printed antennas and tags, solar cells, flexible components, radar scattering, nanowire transmission lines, nano-optical couplers, sub-wavelength imaging using nanowires, corrugated metallic sheets for focusing, nanoantennas for energy harvesting and chiral structures for optical polarization. 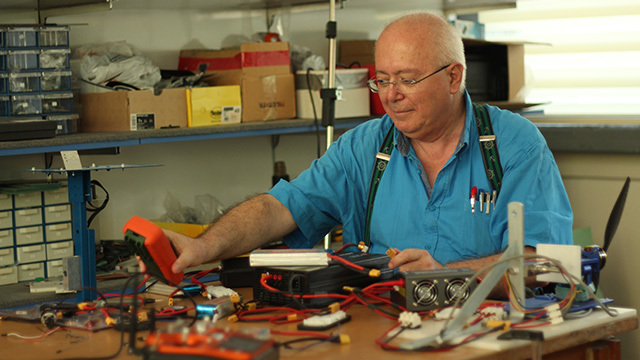 Our research focuses on the development of next-generation sensing and imaging systems. This is driven by the field of computational imaging, which enables unprecedented perception at the micro and macro levels in ways that are beyond human and conventional optical systems capabilities. In computational imaging, we employ digital processing in conjunction with a physical system to form new forms of visual information. The involved tasks pose interdisciplinary questions at the interface of inverse problems, signal processing, optics, estimation theory, optimization, and computer algorithms, as well as innovative system design. Some modalities of interest include spectral imaging and microwave imaging, with applications to consumer electronics, defense industry, space physics, bioimaging and medicine. Optical imaging equipment in the lab includes lasers, detectors, spatial light modulators, and DMDs. The primary purpose of research in this laboratory is to develop novel and/or improved algorithms to detect and classify buried objects such as mines and improvised explosive devices using electromagnetic sensors. The laboratory is equipped with a large sand box of 3x2x1 cubic meter size with a two-dimensional scanner. A measurement setup is under preparation to simulate a single-channel ground penetrating radar system with a portable vector network analyzer and ultra-wideband antennas in X-band. A multi-static electromagnetic measurement setup will also be operational soon for forward-looking remote sensing. PhD and MS students as well as junior undergraduate researchers are associated with the laboratory since 2014 working on hardware system design, data simulation and algorithm development. Research in HRL is mainly focused on electrocardiographic imaging (ECGI). Topics include modeling the electrical activity of the heart; obtaining a mathematical model that relates this electrical activity to body surface potential (BSP) distributions by solving the bioelectric field problem in the torso (forward problem of ECG); estimating electrical potentials on the heart surface from the BSP measurements (inverse problem of ECG). Research is mainly on theory and computation of forward and inverse ECG problems, therefore the laboratory includes computers with powerful computational capabilities and the necessary software. The first Magnetic Resonance Tomography in Turkey has been developed by researchers at METU in the early 1990s. 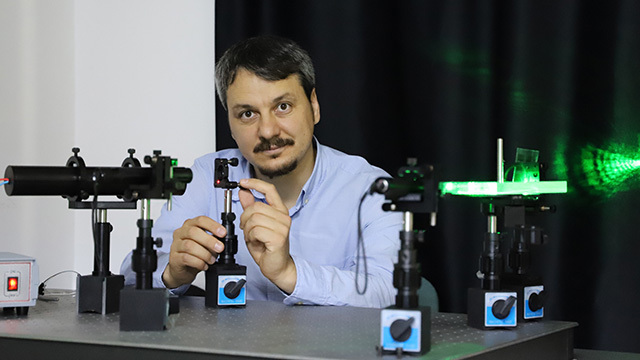 METU Magnetic Resonance Imaging Research Laboratory (MRIRL) is among the global leaders of Magnetic Resonance Electrical Impedance Tomography (MREIT) research. In 2012, the first experimental magnetic resonance conductivity tensor images were obtained at MRIRL. In 2017, Induced Current Magnetic Resonance Electrical Impedance Tomography (ICMREIT) images were obtained experimentally for the first time. In this field, 3 Turkish and a European Patent Office applications are pending. MREIT and ICMREIT provides unique contrast in the field of Magnetic Resonance Imaging to explore novel clinical applications. Fluid Inspired Human Body Pose and Hand Gesture Imitation, Momentum Transfer Continuum between Preshape and Grasping Based on Fluidics, Active Localization of an Agile Target Using Audio-Visually Capable Mobile Agents, Deep Learning for Surfacing Hidden Intentions by Robot Interactions, Reshaping Estimated Human Intention by Robot Moves in Human-Robot Interactions; Reshaping a Current Recognized Human Intention Into a Desired New One by Intelligent Autonomous Moves of Service Robots, Hearing-Then-Seeing Integrated Focusing Attention, Respiratory Gating for Compensation during Percutaneous Needle Insertion in Robot Assisted Surgery, Discrete Event Dynamical Systems for Area Surveillance and Dispatching using Heterogeneous Robot Networks. The lab equipment includes Magellan Pro Mobile Robot System, AIBO Entertainment Robot Dogs (ERS-210A), Finger Flexure Sensor to Study Grasping (Power Glove), 16-Controllable-DoF 5 Fingered Robot Hand (Anthrobot III), Self-Reconfigurable Modular Exoskeleton, Sycophant Wearable Sensor Network. The purpose of this lab is to conduct internationally recognized research to design and fabricate novel metamaterials in Microwave, Terahertz and Infrared bands to develop improved sensors, absorbers and antennas. Measurement facilities are available in 1-18 GHz band with a network analyzer, X-band waveguides and antennas. High capacity computers including a work station are used for design simulations. Three award-winning PhD dissertations and several MS Theses have been completed; 15 articles (in SCI journals) and more than 30 conference papers have been published on metamaterial research since 2009. PowerLab is a research group that mainly focuses on smart grids, renewable energy and electrical machines. 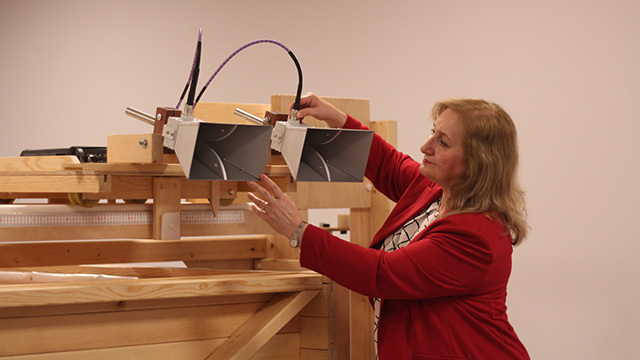 METU PowerLab is led by three principal researchers: Dr. Emine Bostancı, Dr. Murat Göl and Dr. Ozan Keysan. The group has 13 full-time researchers, 7 PhD students and 26 MSc students. 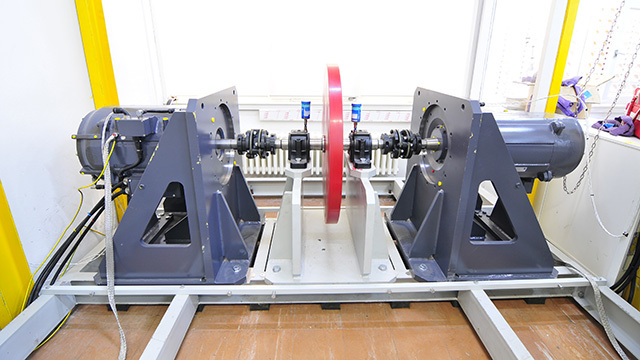 PowerLab is conducting many national and international research projects such as METU Smart Campus roadmap, power system analysis using pattern recognition, implementation of new generation traction converters for rail-road applications, electromagnetic design of 10 MJ railgun, development on integrated motor drives, PMU placement for power system stability, design of direct-drive wind turbine generators. PowerLab has 3 separate offices and extensive laboratory equipment including: ​300 m2 electrical machines laboratory, 75 grid connected PV system, 11 kW wind turbine emulator, power quality and motor testing equipments. The power quality research laboratory is installed within the scope of the National Power Quality Project of Turkey, funded by TUBITAK Kamag. It consists of six workstations, connected to the Remote Monitoring Software, Dynamic Monitoring Software and Client Software of the National Power Quality Monitoring Center. On-line monitoring of the power quality of some selected points of the transmission and distribution systems, event recording, and associated reporting work can be carried out via this software. Research projects and investigations on electric power quality are carried out in this laboratory, as well as the associated design work. The research activities of this laboratory include the design, growth and fabrication of new generation infrared photon sensor arrays based on III-V and II-VI compound semiconductors. This research laboratory, known to be one of the world’s leading university research laboratories on the development of infrared imaging sensor technologies, is among the very few research centers that can manufacture large format sensor arrays in almost the entire infrared band. 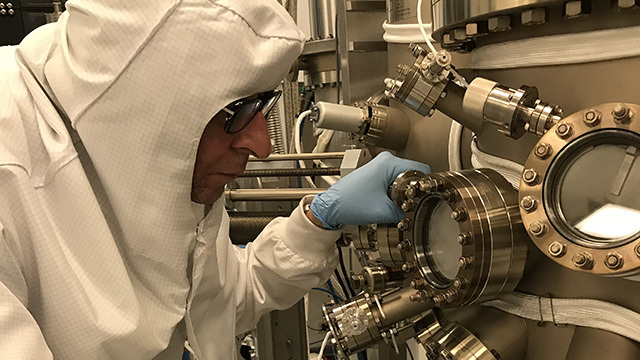 This well-equipped laboratory includes two clean rooms housing two molecular beam epitaxy systems and sophisticated equipment for the microfabrication, integration and characterization of photonic sensor arrays. The total budget of the research projects conducted by this laboratory in the last 20 years is over 20 million Euros. 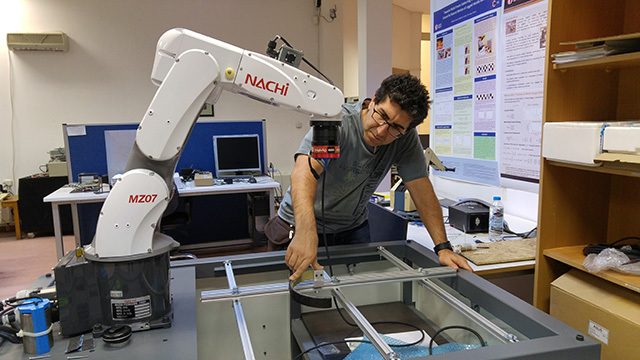 RoLab is a graduate-only laboratory working on mobile and legged robots, mobile and dexterous manipulation and dexterous, dynamic locomotion studies. We also focus on sensors, body and environment state estimation, robot vision and pattern recognition. It was home to 20+ MS and 3 PhD students under since 2005. The lab has two SensoRHex hexapod robots, a TechMover 5-axis desktop robot arm, a Nachi MZ-07 6-DOF high speed desktop robot arm, small par manufacturing facilities including a 3D printer, a desktop CNC machine, a manual desktop milling machine, a manual desktop turning machine, high speed data acquisition and a Quanser linear stage experimental platform. This laboratory is equipped with 2x2 MIMO transceivers in 50MHz to 6GHz, 8 channel real-time audio recording for microphone arrays, Zynq 7020 based SOM for embedded processing in both Linux and Windows operating systems as well as baremetal applications. In addition, both video and audio equipment are provided to undergraduate and graduate students. Research activities in this laboratory include RF and acoustic transmit-receive beamforming, direction finding, development of energy-efficient, energy-harvesting communication structures, compressive sensing, convex optimization for signal processing systems. This laboratory also provides numerical electromagnetic solver to simulate antenna arrays for practical evaluation of algorithms. Signal processing group studies methods of processing information bearing signals for a particular aim. Signals can be one or multi-dimensional; deterministic or random. The goal can be restoration of a noise corrupted image, compression of a video sequence, generation of alternative viewpoint of a scene, optimal methods of decision under uncertainty (detection and estimation) and efficient usage of resources such as bandwidth, computation or time etc. Design of digital communication systems and statistical signal processing with a particular focus on modulation theory, iterative detection and equalization techniques, modulation schemes and signaling waveform design for next-generation cellular systems, massive MIMO systems and beamforming, information theory, and radar signal processing with a particular focus on adaptive radar detection and waveform design. Detection in massive MIMO systems under quantization and hybrid beamforming techniques. Multi-carrier modulation schemes and non-orthogonal multiple access (NOMA) techniques. Communication in wireless fading channels and reduced complexity transceiver architectures, coding and 5G communication. Packet scheduling mechanisms for energy harvesting systems. Efficient ad-hoc wireless networking, Resource allocation and scheduling for multiuser queues sharing wireless links. wireless sensor networks, practical lazy scheduling. The lab equipment includes USRP 2901 software defined radio device, RTL-SDR R820T2 RTL2832U Software Defined Radio. This laboratory has been established by a collaboration between Middle East Technical University, Hacettepe University and Aselsan Incorporation, to carry out research and development work on various power converters and electric motor drives for metro and light rail public transportation systems. The developed physical simulator in the laboratory consists of an input three-phase PWM rectifier circuit, a traction motor and its inverter, a flywheel, a loading generator equipped with a DC link converter, and a supercapacitor-based braking energy recovery system, built of all SiC power semiconductors for high efficiency and high power density. The laboratory distribution system infrastructure allows loading tests up to 250 kVA power rating. The research in the lab aims to design and produce new unmanned air vehicles, to utilize them and design their payloads. Completed project titles are: “Coordinated Guidance and Path Planning for Unmanned UAV’s”, “Path Planning for Unmanned Underwater Vehicles”, “Mission Oriented Rotary Wing Unmanned Air Vehicle Design”, “Ground Effect Vehicle: Modelling and Control, “Determination of the location of firearms based on optimization of acoustic sensor networks”. IHALAB is is equipped with electronic and mechanical laboratory instruments. ULTRAMEMS Research Laboratory is dedicated to the development of Ultrasound MEMS Transducers, which was the Ph.D. research topic of our founder, Barış Bayram, at Stanford University. Following his graduation in 2006, he founded ULTRAMEMS Research Laboratory to explore novel transducer design and microfabrication technologies.